I’m looking forward to all of our summer plans this year, especially since my son will be turning one in July. With all of the fun outdoor activities to do, what I most look forward to are our family cookouts. Since we live a few hours away from our family, I like to make easy dishes that travel well for our events. There’s nothing as simple and well received as a chips and dip platter. 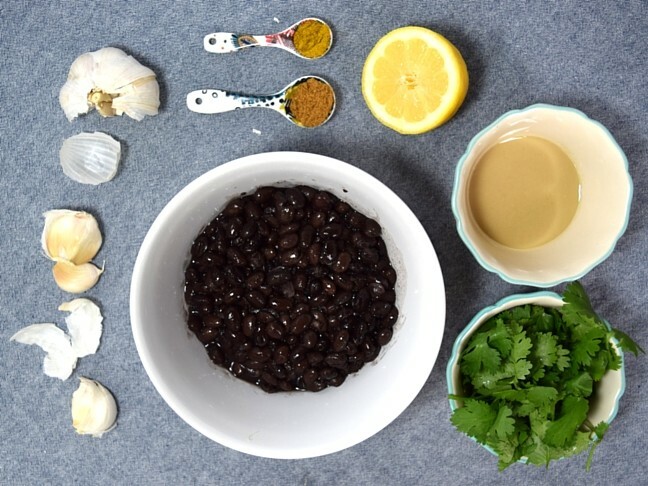 This black bean hummus is easy to make and carry, and it’s also gluten free and vegan friendly. It’s made with hummus favorites like garlic, olive oil, and cilantro, but it also has a great kick of paprika and curry powder. I like to to make my hummus the morning of a cookout—that way, I know guests are getting the freshest taste. 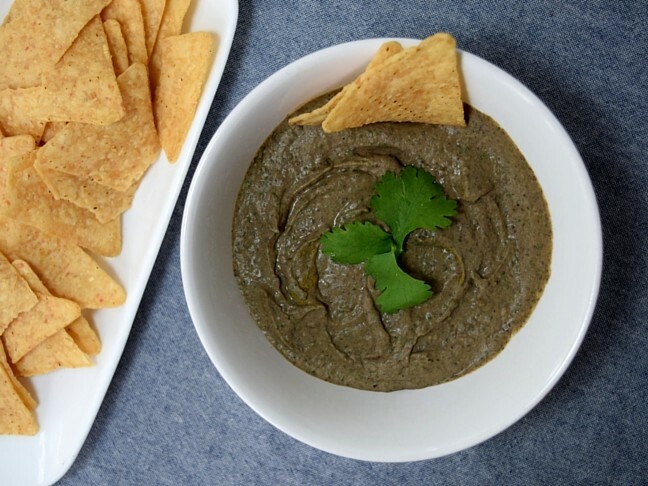 If you have extra time, I invite you to make your own pita chips, but any variety of pita or tortilla chips will pair perfectly with this black bean hummus. This appetizer travels nicely---I make it when we're headed to a party that's far away from our house. Step 1: Gather all of your ingredients and place them into a large food processor. Step 2: Then, blend until smooth and spoon into a large serving bowl. 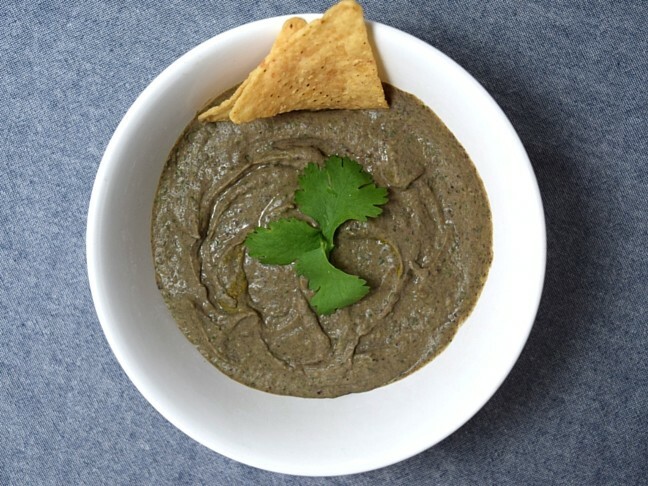 Step 3: Garnish with cilantro and serve with a side of gluten-free chips.